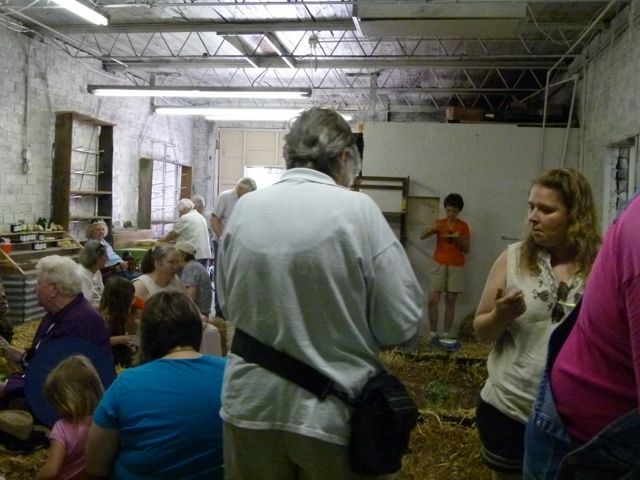 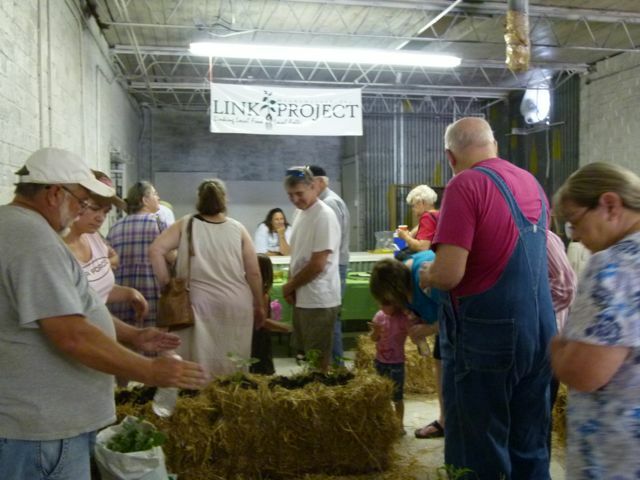 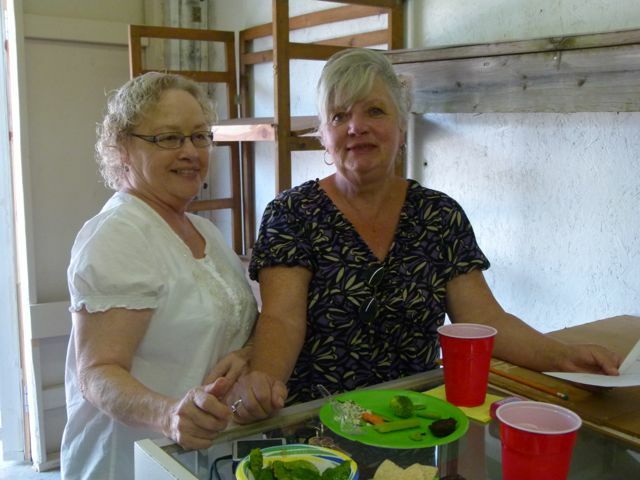 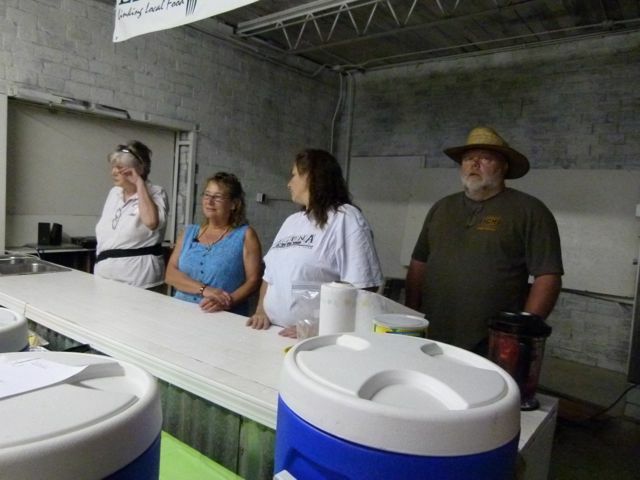 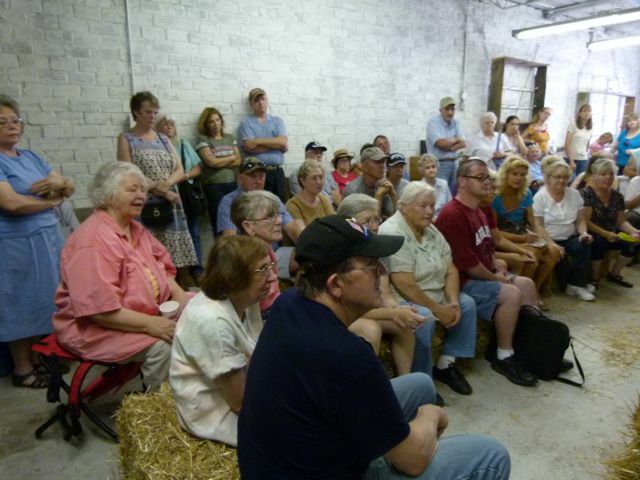 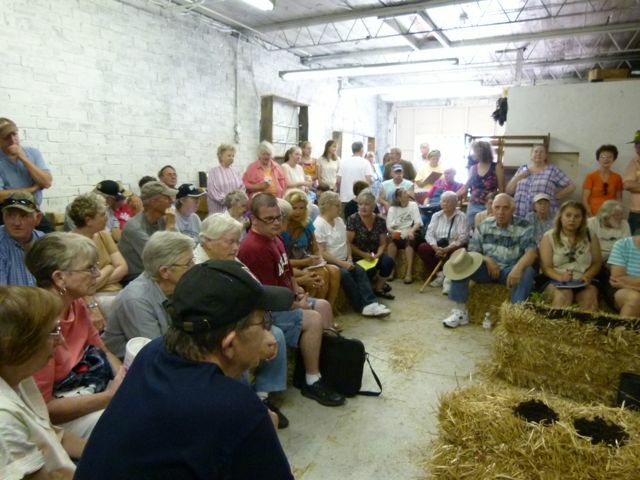 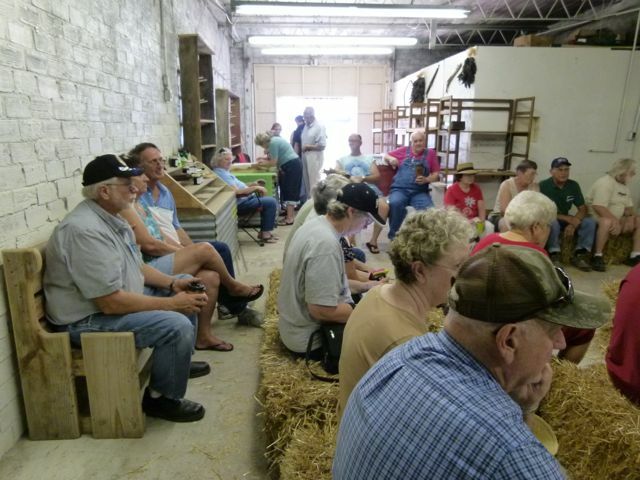 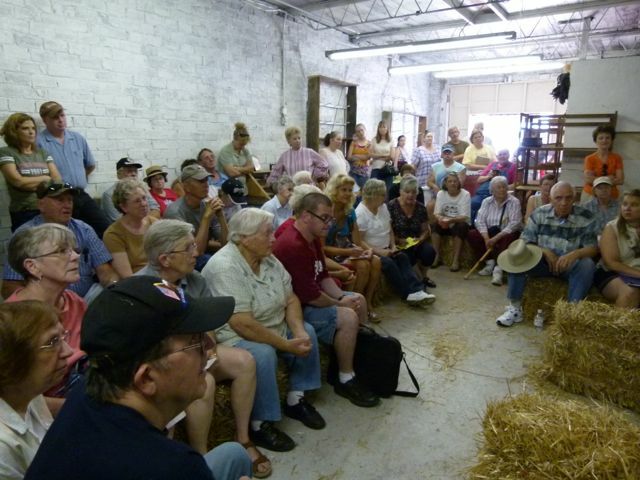 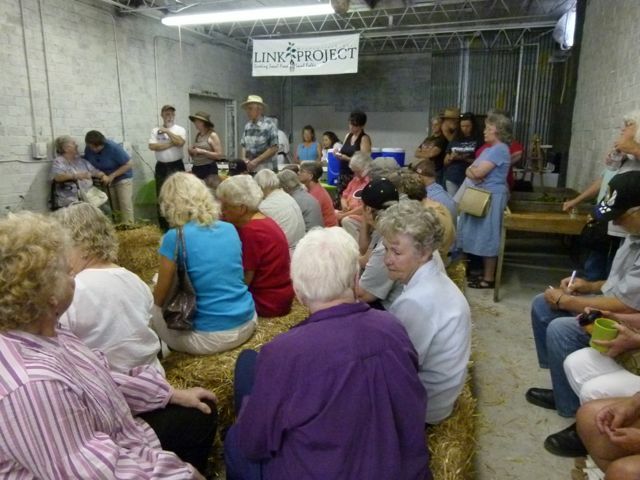 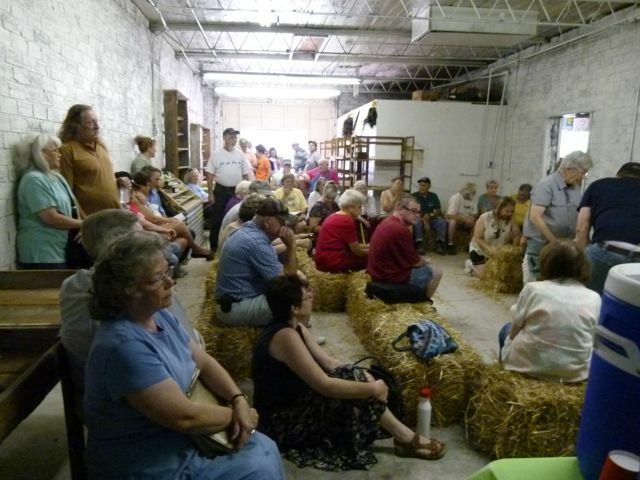 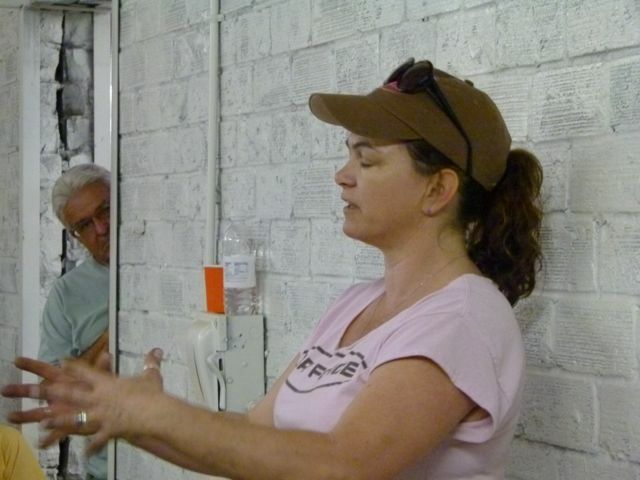 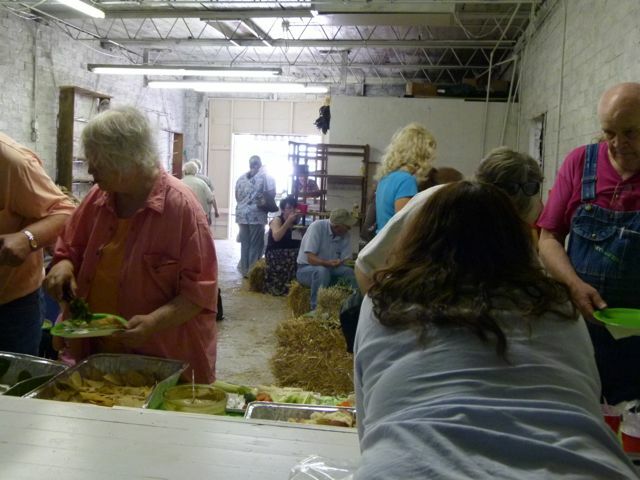 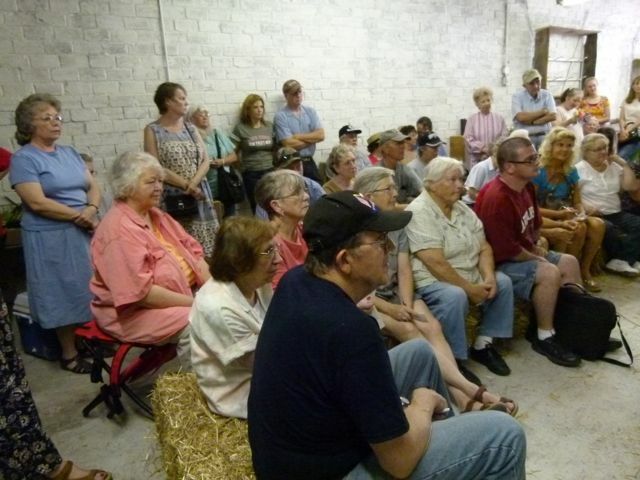 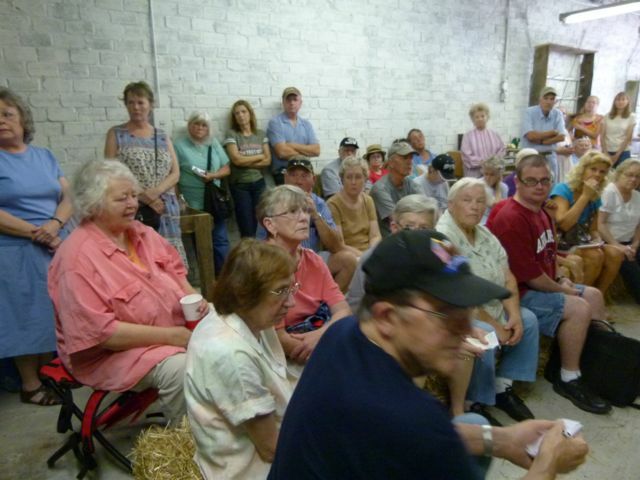 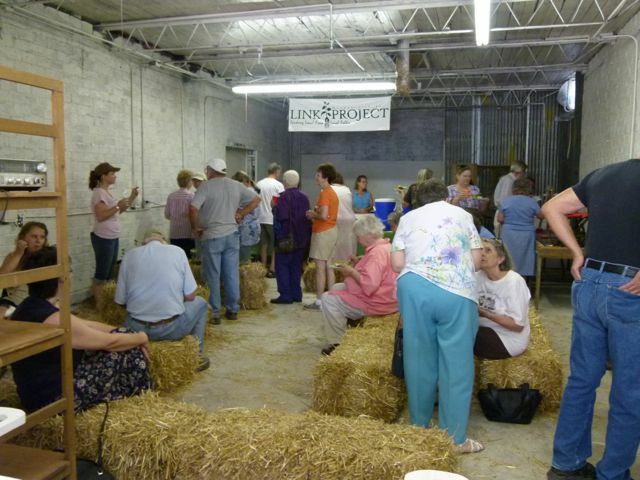 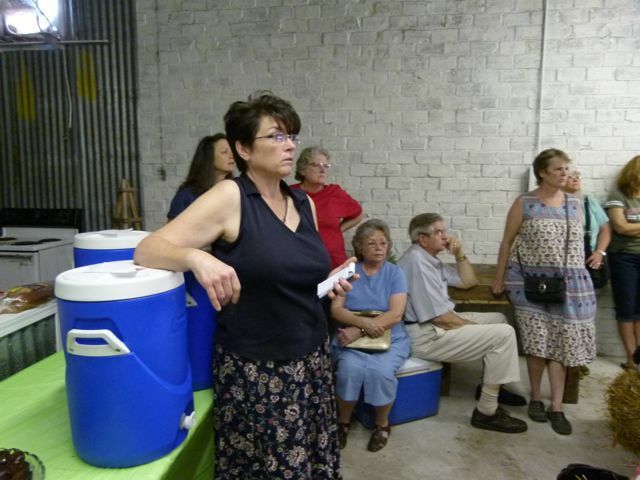 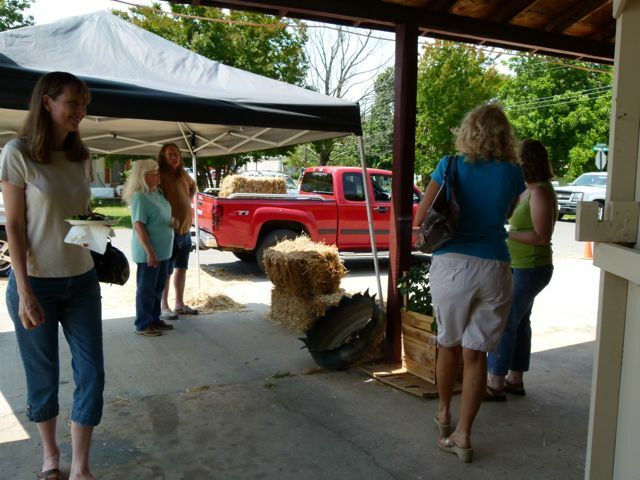 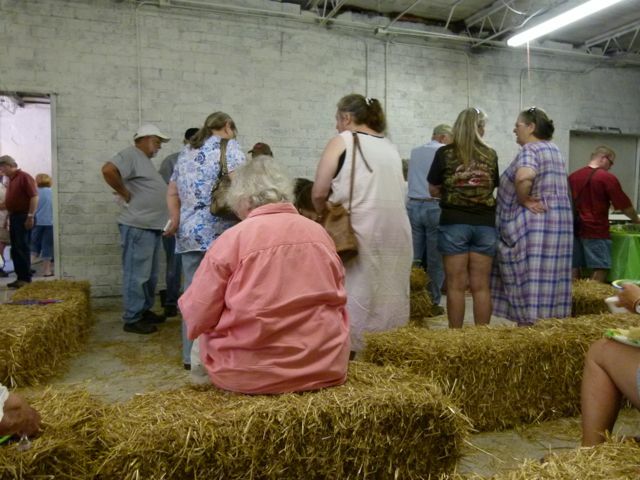 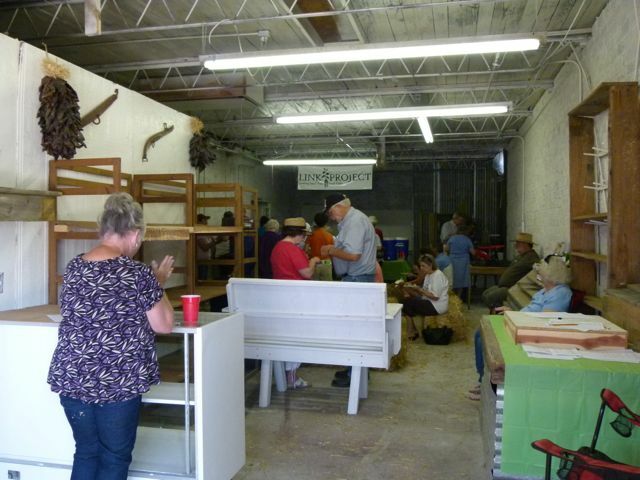 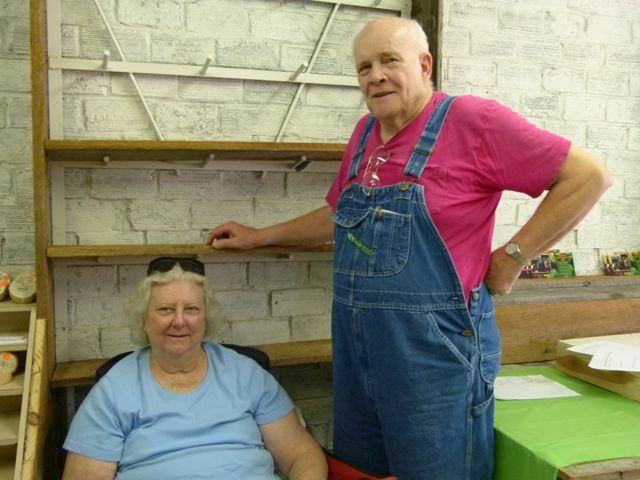 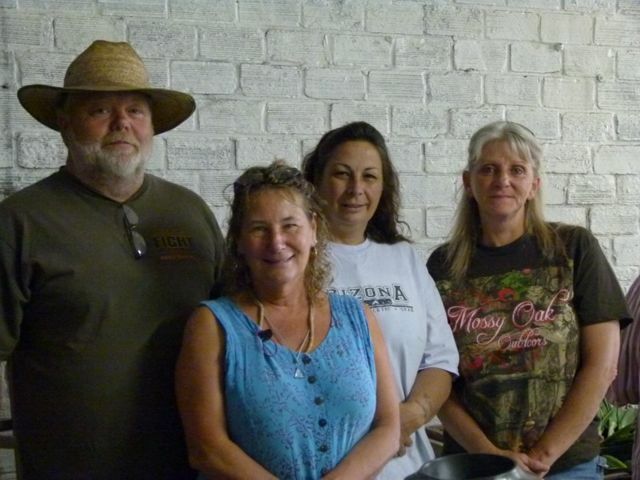 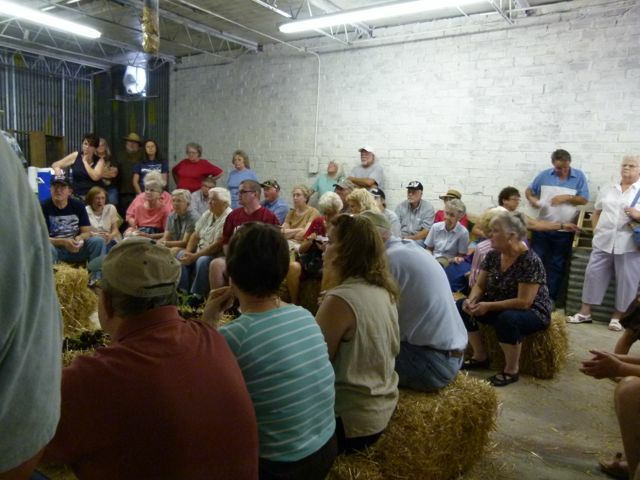 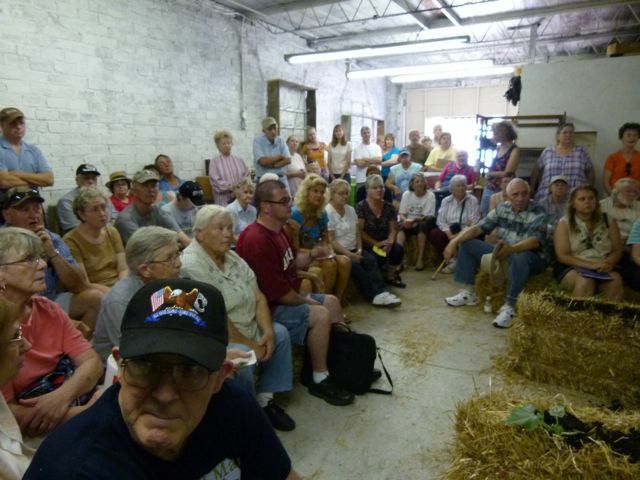 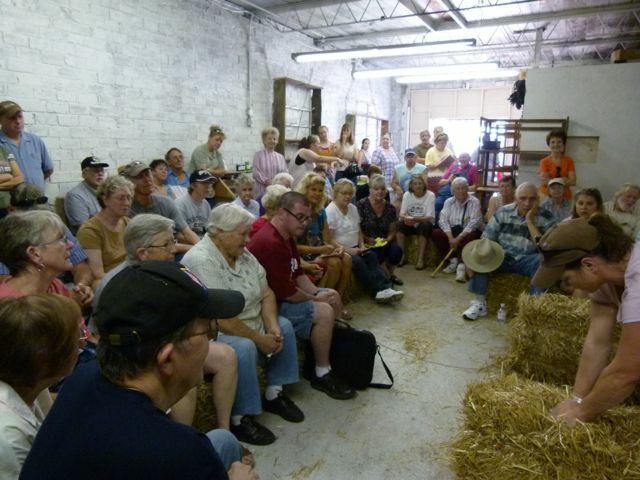 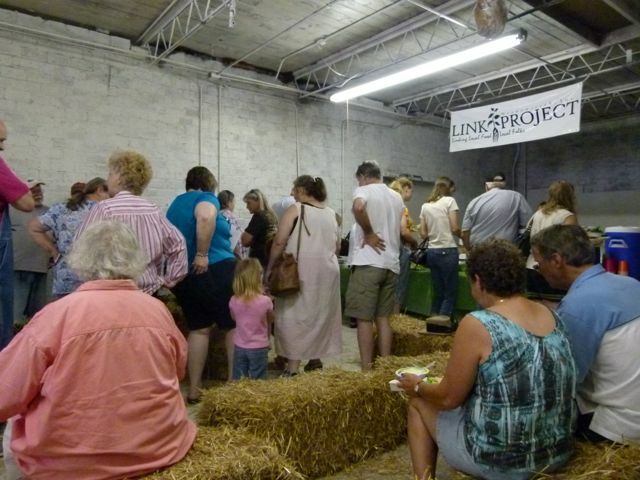 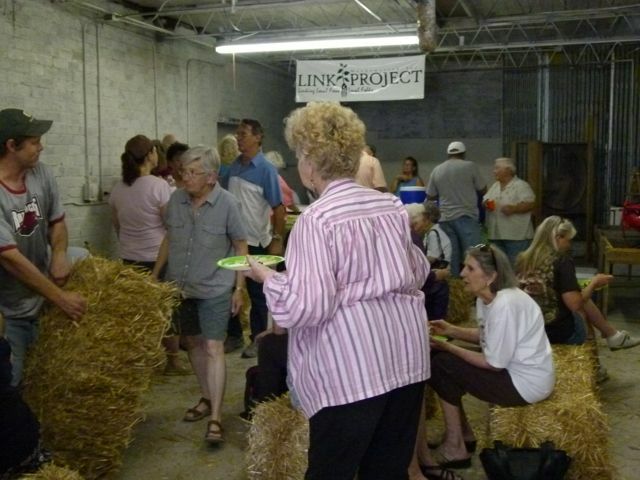 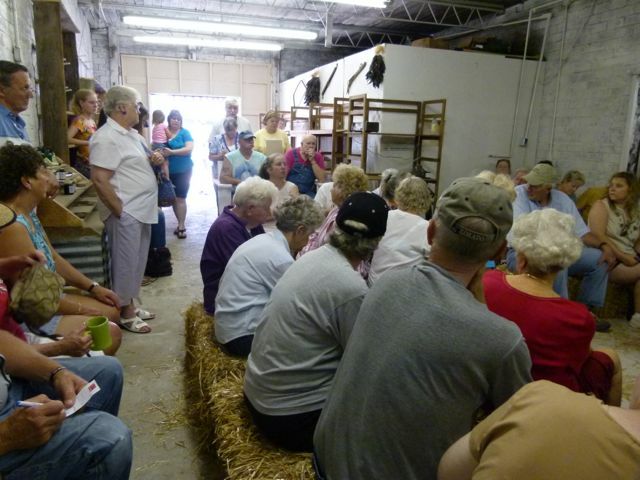 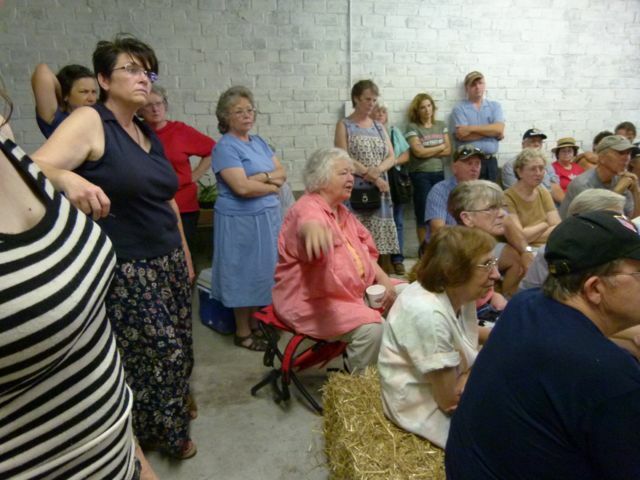 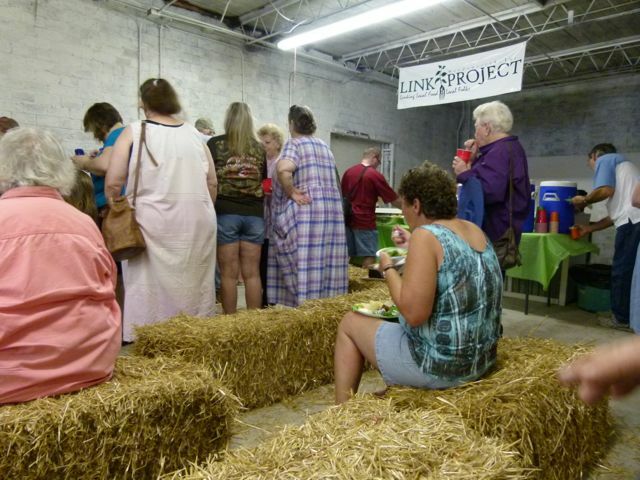 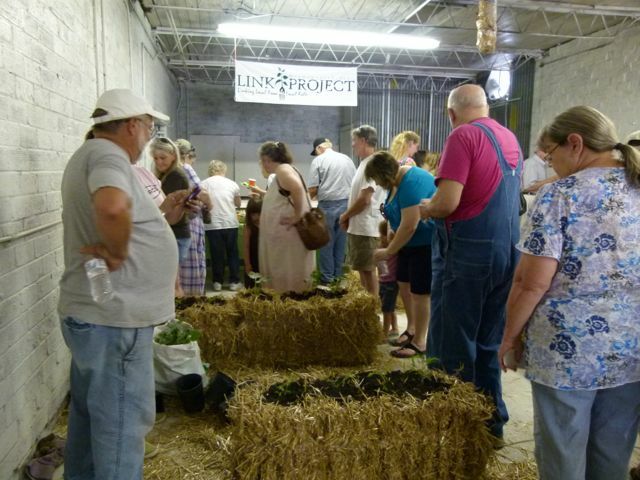 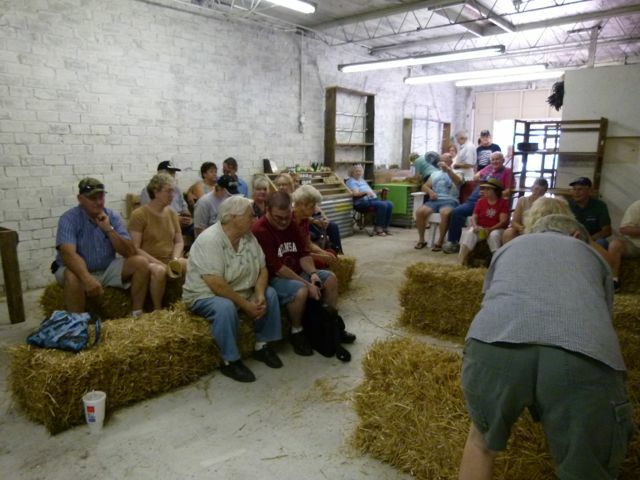 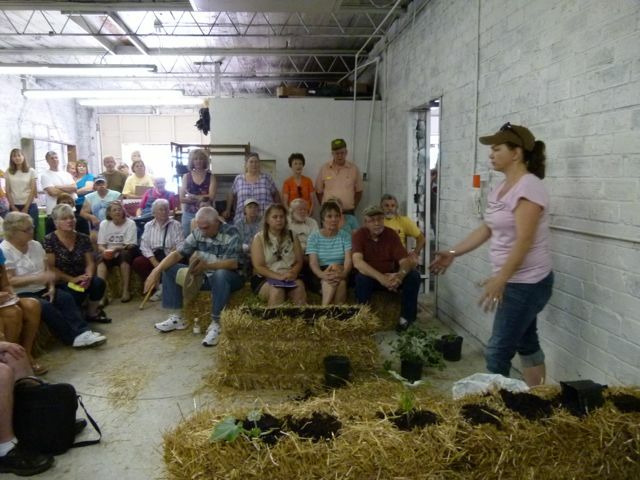 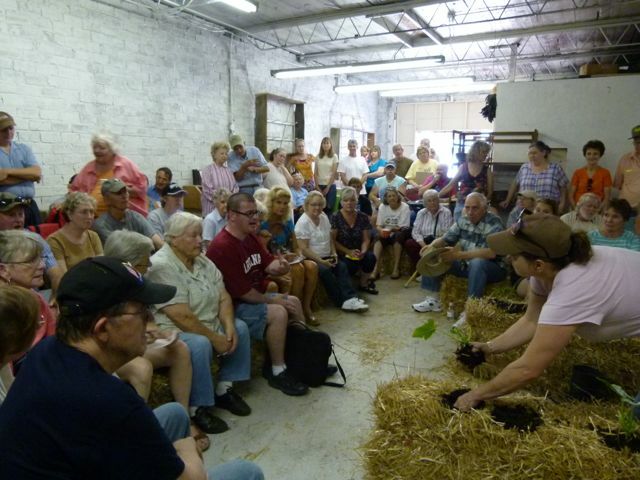 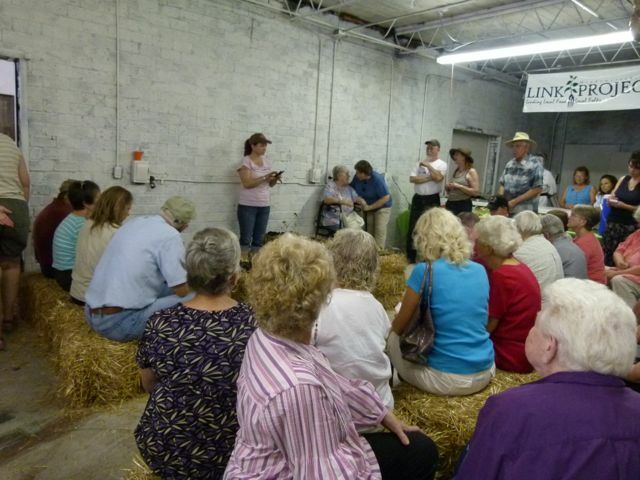 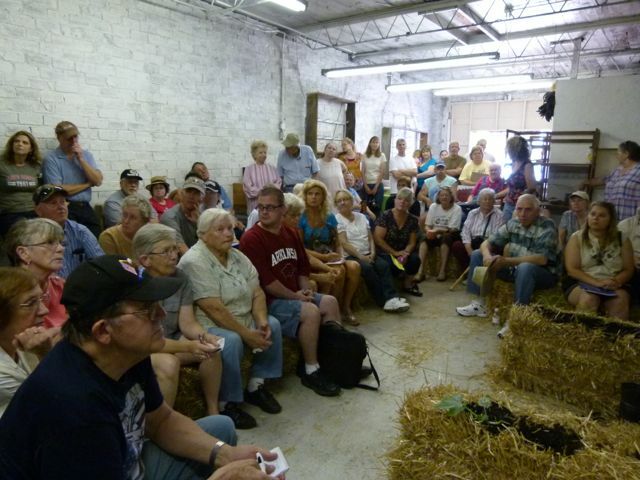 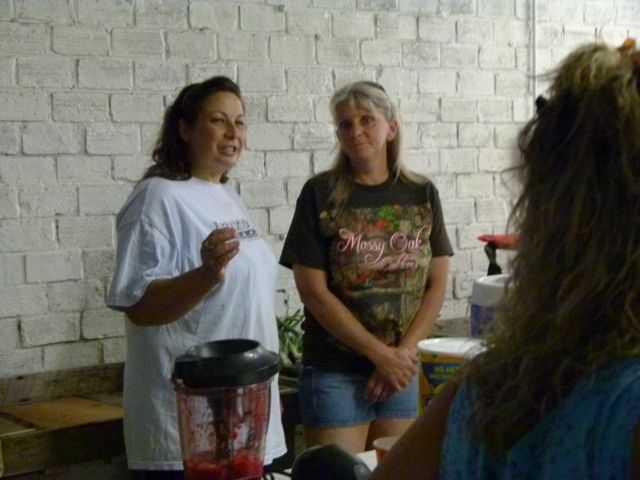 On May 19th, the new Farmers Market Outlet Store was the site of a very practical and informative workshop hosted by The LINKPROJECT and Stone county Farmers Market. 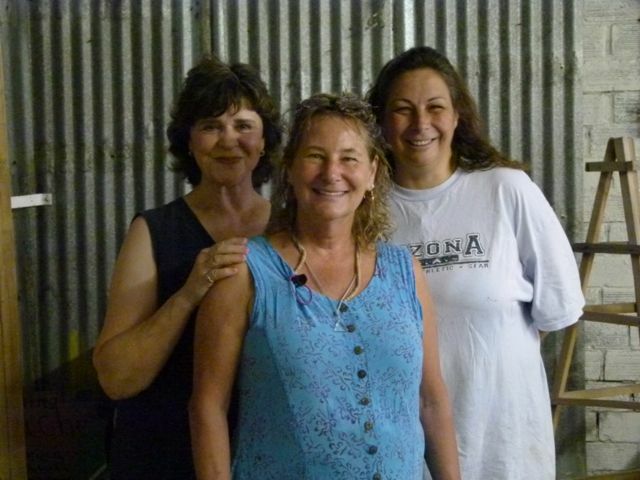 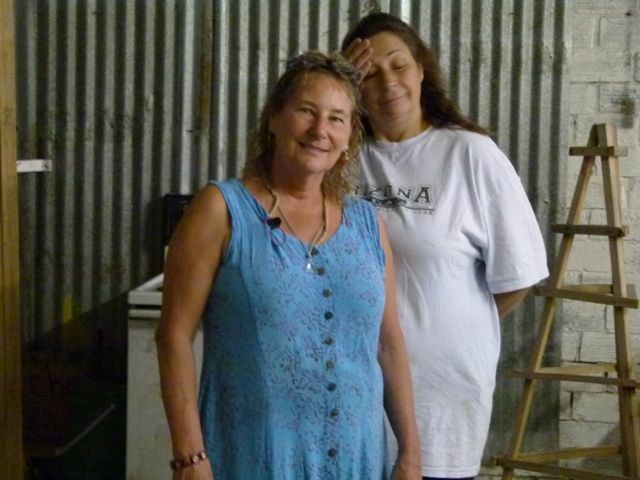 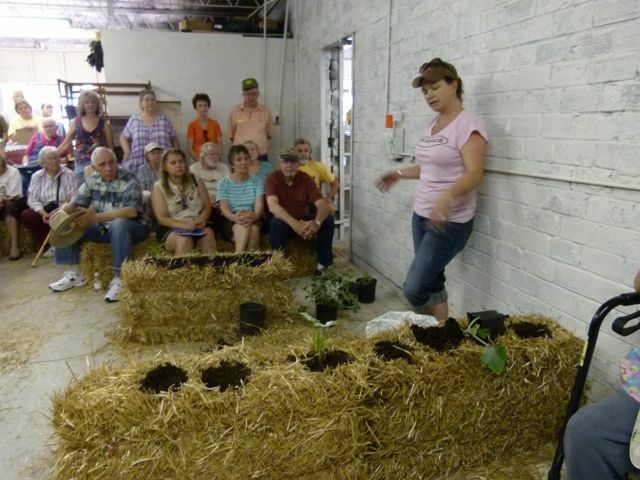 Gardener, Maureen Brennan Skinner, shared her “practically instant” straw bale gardening method of going from no garden at all to a fully planted garden. 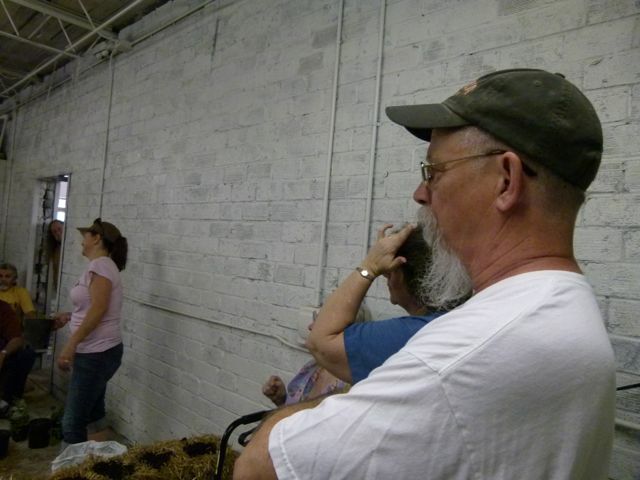 All that’s needed from that point forward is water and perhaps some fertilizer. 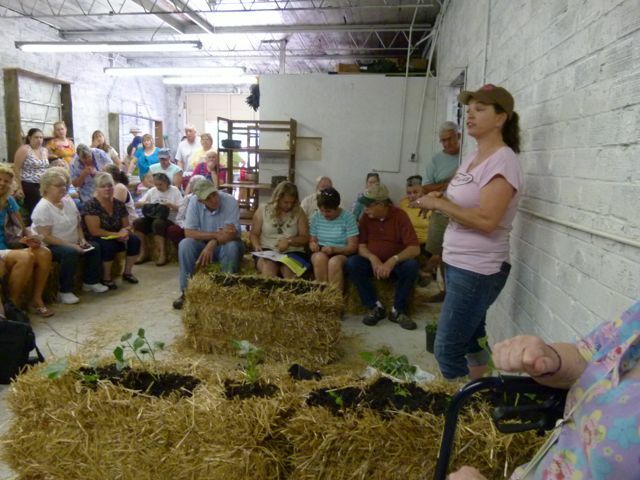 Maureen touts this method as excellent for anyone who would like to garden without the “fuss.” No tilling, no stooping and bending…just watching plants grow! 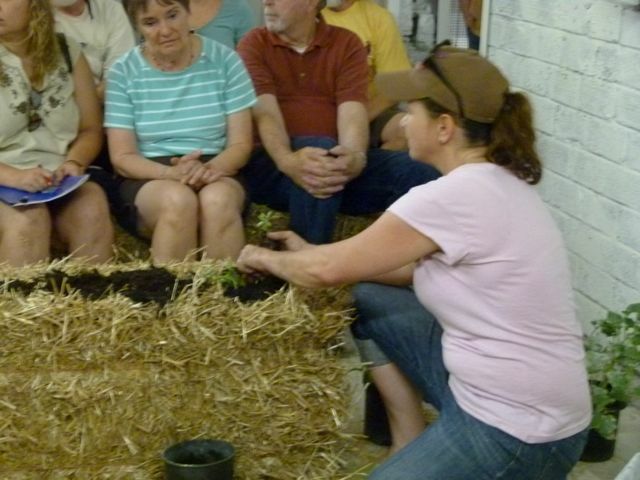 Straw bale gardening is also excellent for those who feel they don’t have a place to garden. 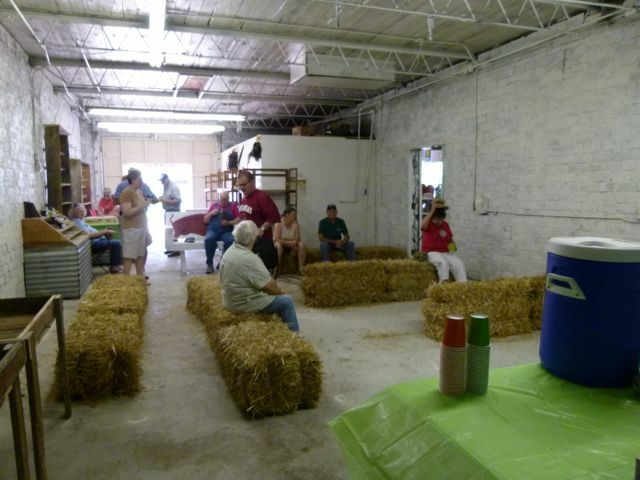 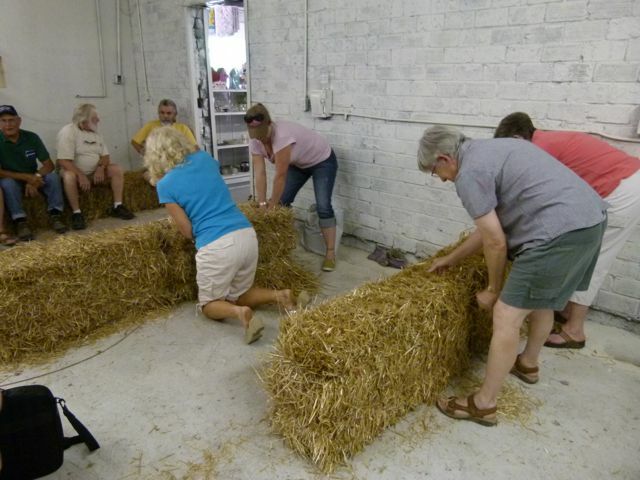 Anyone can straw bale garden on a deck, a sidewalk, a parking lot and/or on rocky terrain. 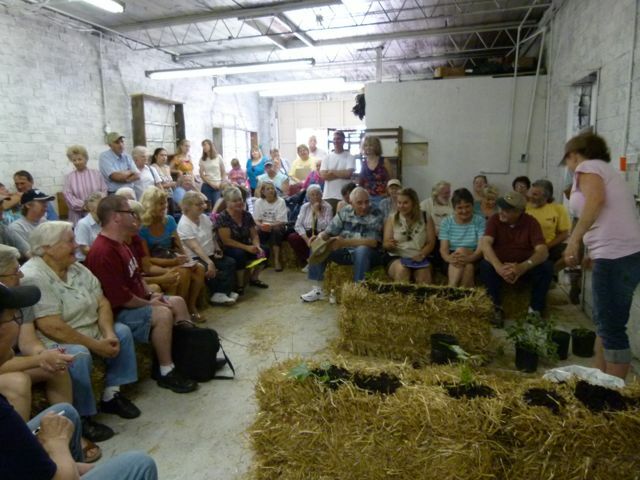 Skinner says the long-term effect of straw bale gardening on the ground in the same spot year after year helps create a natural garden spot in places that might never otherwise be capable of that. 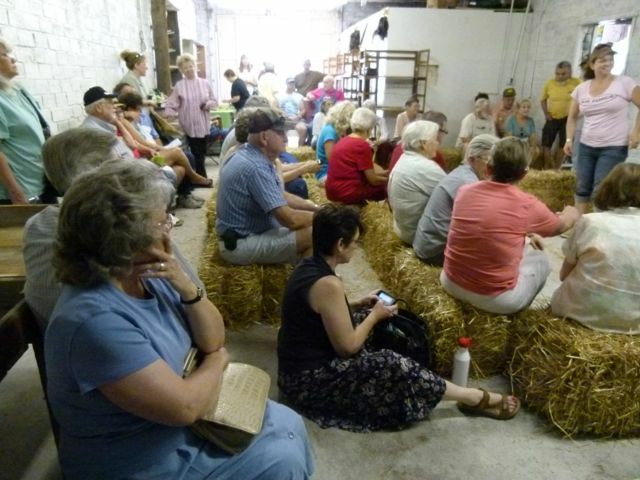 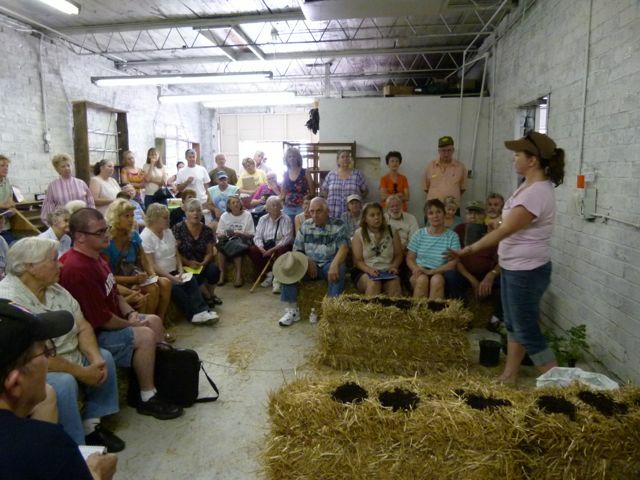 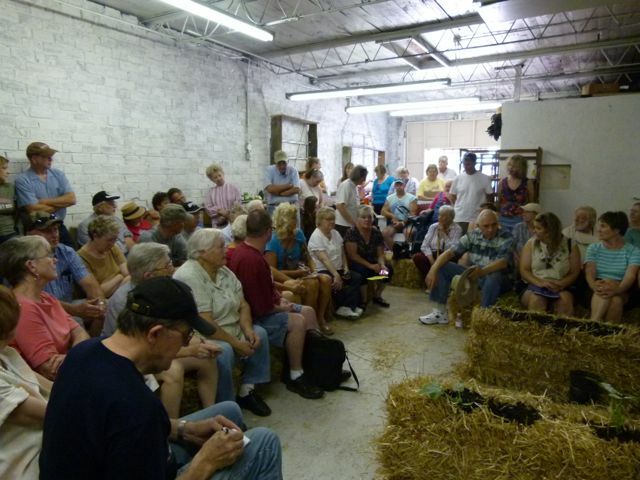 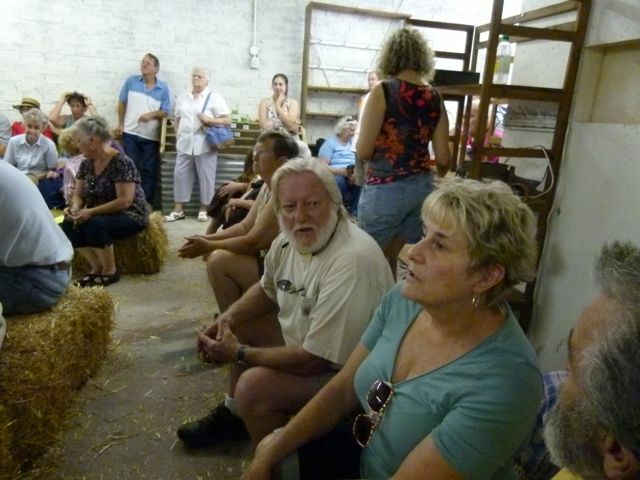 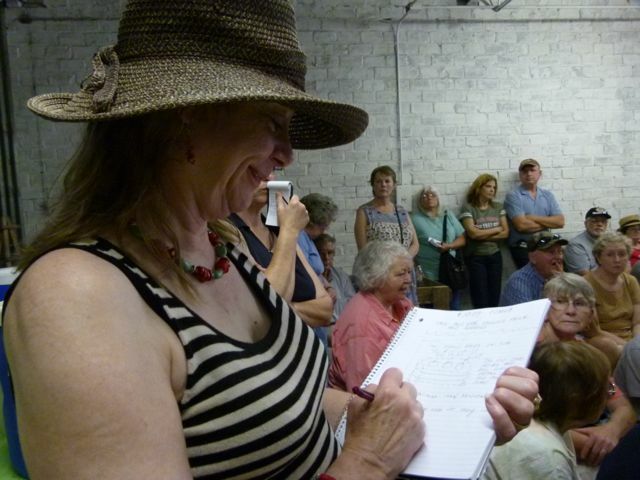 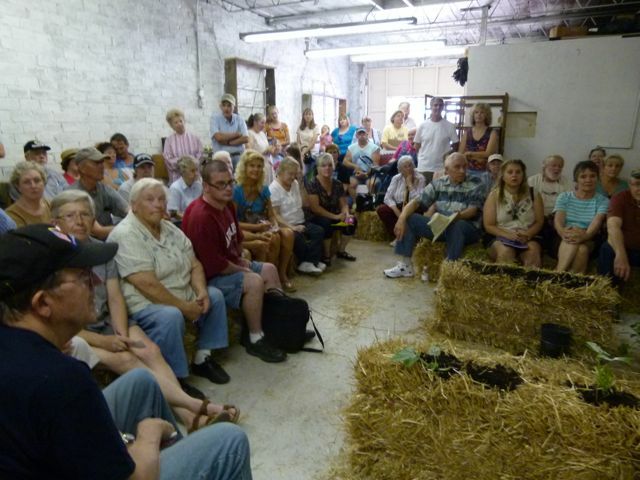 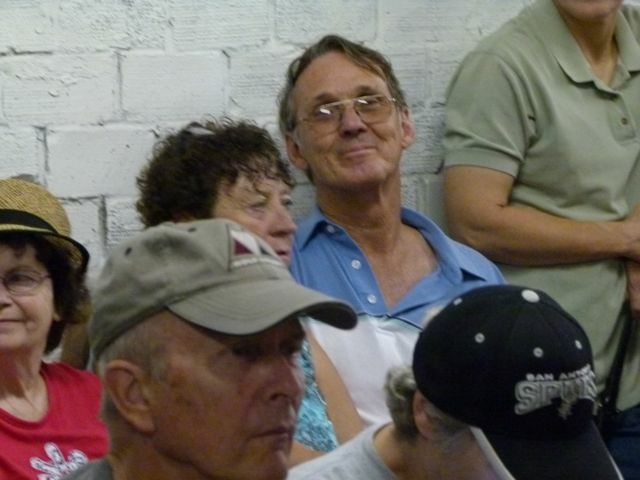 Since this workshop was attended by a 70-person/standing room only crowd, we can see the demand for learning this method of growing practically anything you want to grow. 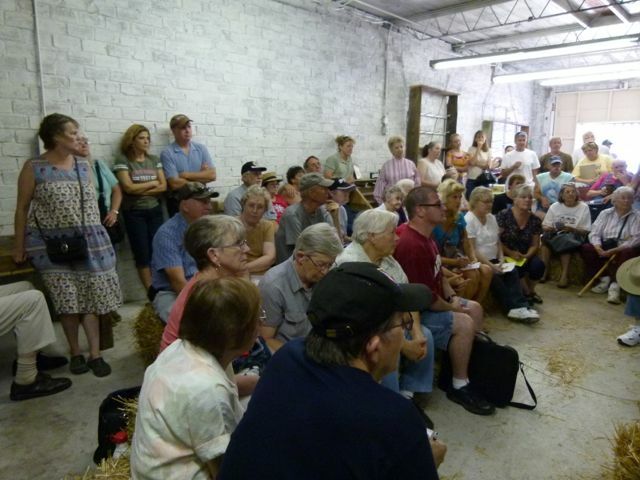 Therefore, we’ll be repeating the workshop in a few weeks. 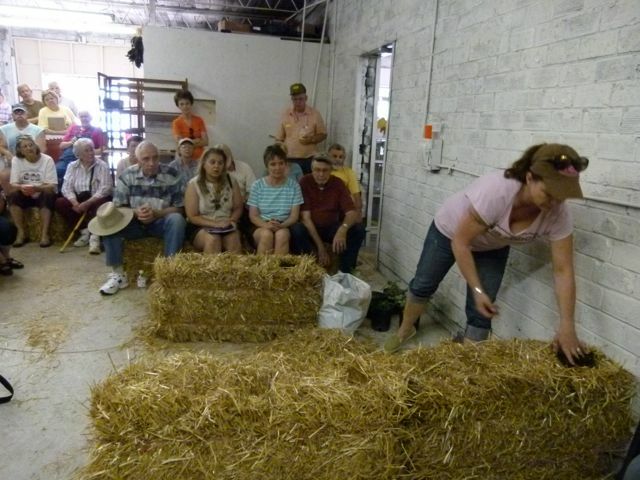 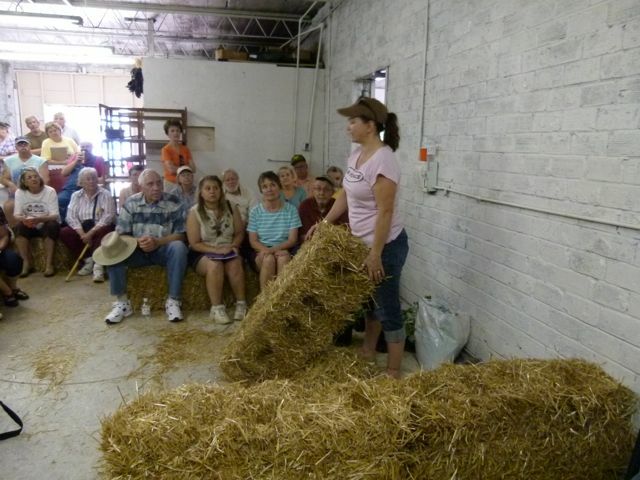 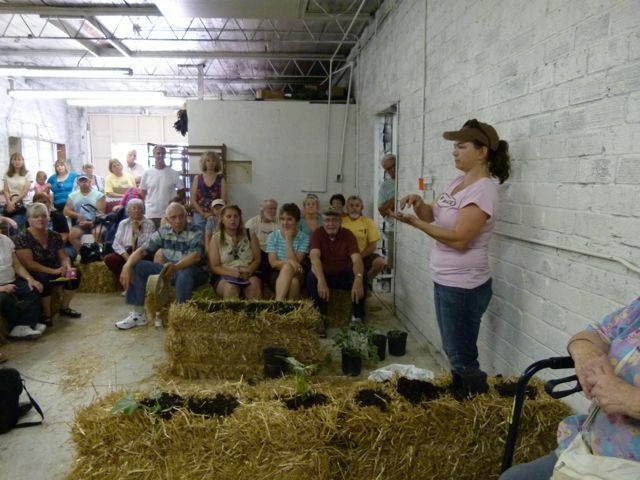 Watch for announcements of our second Straw Bale Garden demonstration!